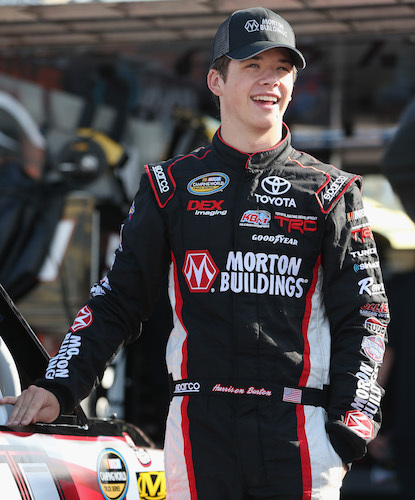 Harrison Burton is 18 years old now, so he’s eligible to compete full-time in the NASCAR Camping World Truck Series. He’ll compete in his first full season in 2019 as driver of the No. 18 Kyle Busch Motorsports Toyota. He’ll replace Noah Gragson, who has vacated the seat for a move to JR Motorsports and the NASCAR Xfinity Series. Burton already has 15 Truck Series starts to his credit with KBM in the Truck Series between 2016 and 2018, resulting in four top-fives and seven top-10 finishes. He finished a career-best third at both Iowa Speedway and ISM (formerly Phoenix International) Raceway last season. Burton’s racing achievements include a NASCAR K&N Pro Series East championship in 2017, winning five of 14 races. Burton also has two ARCA Racing Series wins, one each the last two seasons.